Today I offer you a bit of followup on previous posts. First, and I think most important, is a comment that my friend, John, left on my blog yesterday. I met John through Speak Up, where he has become a bit of a regular, and a couple years ago I played in his day-long, 54 hole golf tournament. This morning I ran 3 miles. I know, so what, many people can do that. What if I told you I will be 66 years old in 7 weeks? Yep, a fair number of 66 year olds can do that too. But what if I told you the last time I did it was the morning of my heart attack? What if I told you that 272 days ago a team of doctors sawed open my chest, stopped my heart and repaired it. At about this point you might tell me to stop bragging. Many times during my running life when I was exhausted during a run or unmotivated, I would say to myself, “How many 45 year olds can do this? How many 55 year olds can”” Comparing myself to everyone born in 1953 and later would always get me to the finish line. And I am convinced that in a small way those thoughts kept me running through the years and maybe played a role in saving my life. This is the day I have looked forward to since I could only walk slowly for 5 minutes without needing to rest. This morning I ran 3 miles. I’m back. Not only am I thrilled to hear that John is back, but I think his words are important for people to hear, myself included. 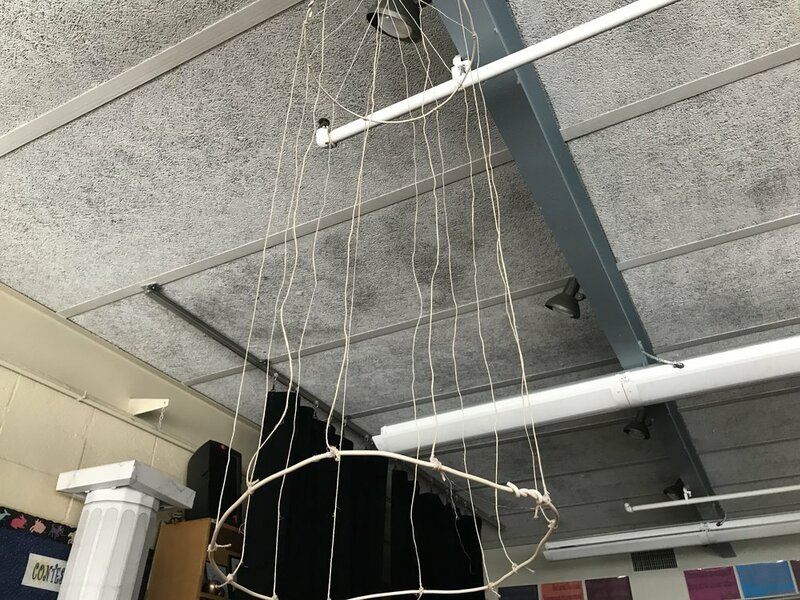 Last week, I wrote about the cage that my student built and gave to me for my birthday. The only photographs I took of the cage on that day were ones containing students, so here is what the cage looks like now, hanging above my desk.